If running an eCommerce business is not an easy task, imagine doing it in some form or another for the last 20 years. That’s what Rick Wilson, President and COO at Miva Inc, and was responsible for building Miva into a software serving both small to mid-size businesses and a growing list of enterprise level clients, together generating over $5 billion annually in online sales. We got Rick on the phone for a good half hour and squeezed out some good information and insights on the ins and outs of the eCommerce industry and how it has changed over the last 20 years. What to know how software can change the game for you? Perhaps you’re still on the fence about the whole ‘Internet fad’ and unsure about tackling this new monster that’s up and coming, (Not really, Rick’s been at it for the last 20 years) then this article is for you. It’s a long read, and if you learned something new today, let us know by sharing it on our facebook page. Q: Rick, thanks for taking out your time to share your wisdom that you have accumulated or 20 years of eCommerce experience. So how is your experience so far? It’s been 20 years, that’s quite a long time, right? Rick: Yes. So specifically Miva is 20 years old this summer and I have been involved with Miva for 18 years this summer. Rick: That is a very long time, especially in our industry. So Miva started out in the summer of 1997 as a very simple catalog management software for putting products, and there were no APIs or live payment processing at the time so you could add products via Gooey, upload a thumbnail and a picture and write a description. That software would have a home page and then a category tree where you could have a list of categories, then under those categories, you could have your products. It created a basic taxonomy for a catalog if you will. And then you could add things to a cart and checkout, but not collect any payment directly. And that has evolved. We were one of the first for sure, and that model has evolved from there in 1997, back then that product was called Kool Kat, and then Miva Merchant 1.0 in 1998. And then I believe in 1998 was also when cyber cash became the first supported payment gateway, and in 1999 or 2000 is roughly when live shipping rates became supported. Now certainly in the early versions we had flat rate shipping methods, so you could choose free shipping or overnight shipping and just put a flat rate, or you could do weight-based shipping – anything that could be done without using API. Q: How was it back then? What were some of the significant changes you have faced and the outcome right now? Rick: So back then most people bought their websites through web hosting companies as opposed to through SaaS companies, so things like… there weren’t website builders like we know today. There was nothing like WordPress, there was no Shopify or Wix or Weebly; none of those type of products existed. And there also wasn’t cloud computing like we know today, so there was no Amazon web services or Azure or any of the other things. And so back then you would go pick a web hosting company, and I sort of equate it to what cable television was like in the early days, the roll out, where there was a lot of local small cable television companies, some of them having 500 or 1000 customers around the country and as time went on they all got consolidated from the rolled up. And we are seeing a version of that in the world of web hosting and in the cloud and in the cloud roll out. So back then that’s how you got a website, was you would go to a web hosting company and they would give you some tools to build a website. So we sold our product through web hosting companies. So we went in and cut deals with web hosting companies and provided them our product to distribute it. Q: Okay. It’s more like you’re a partner of a GoDaddy and then they sell your product, right? Rick: Exactly. So even though Go Daddy didn’t exist back then, that’s a perfect analogy. So Go Daddy would have been the kind of people who we would have partnered with and they would have distributed our product to their customers as an upsell. So you could actually see the birth of SaaS coming from this where hosting account might be $15 a month but if they included Miva Merchant it would be $45 a month, and they would use that as an upsell. Rick: Correct. So we were a very popular platform and broadly distributed, and I think our distribution choice at the time was important. But the challenges really were how to explain what we did for a living, how to make eCommerce accessible to your average person, and back then a lot of people who were involved were far more technical than today. But at the same point, I think the store owners back then had different challenges than today. I think back then a store owner could become successful selling online just by having distribution, so if they had good product distribution, so if they had good access to wholesale products and they were reasonably technical and could do decent SEO work – back then decent SEO work was lot of keyword stuffing and back link stuffing. So you had a lot of people who were early movers who got decent SEO and they were able to ride that really until Panda and Penguin hit, so they were able to ride that for, in some cases 10, 15 years. Q: Ten years is a very long time, there would be a lot of money by then. Rick: Yes, absolutely. And so what we have seen though is we have seen a big shift in general in what it takes to be successful. What you see now are the manufacturers are successful, not just the middlemen. Business to business (B2B) has really exploded as where back then B2B was still all sales people and catalogs. Back then it was people who would take a niche product and go direct to consumer and try to leverage that margin, and that’s changed significantly since then, there is not a lot of margins left for people, unless they are either an expert in the field and therefore they can sell a lot of products. Let’s say they are well known in the motocross industry, then they might be able to have a store that maintains an edge in the motocross industry. But you have to have something that keeps your competitive edge. Q: Yes. Also, everything isn’t so easy. Now every person can just start a drop shipping company and then you can sell from the drop shipping. Q: So the competitive edge has been reduced a lot now. Q: Moving onto next, Miva Corp and now Miva Merchant has been a dominant leader in the eCommerce world since the beginning, so how as the introduction of the SaaS products in the business model and the way you do business with your clients, what are the benefits and what are drawbacks if there are any? Rick: Well the benefits are at the end of the day you really see two types of eCommerce platforms out there. You see open source ones where there is either a group of people who are doing it like an E-cart or something like that, and they have a company behind them. But we have open source products or you have a body like Magento where the use their open source product, their community edition to get a lot of users, but then they charge a very, very high fee for their paid version. 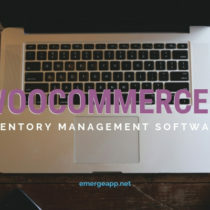 Or you have the WooCommerce model where they have a lot of users and they get their money from things like revenue share from places like PayPal or selling themes, that kind of thing. So in those scenarios, you don’t see SaaS because they are open source. But once you move out of open source, virtually every other product these days in eCommerce and SaaS in some way or another. So Magento Enterprise is now SaaS in some ways on Amazon web services, Miva Merchant – Miva is obviously SaaS – Shopify and Shopify Plus and BigCommerce. So what you see is that merchants have come to expect that, they have come to expect that they don’t want to have a separate web hosting company that they have to call and find out what’s going on with their site, they want to be able to call the people who make their software and run everything from one place. Q: Yes. Okay, got it. Is there anything you want to add for this question? Rick: No. I think SaaS has come of age. I think there is a reason you don’t see a lot of paid non-SaaS e-Commerce platforms. At the very, very high end – the people using IBM and stuff – you do because you have Fortune 100 companies that have to control their data center. But anything below that I think SaaS is the right solution to that. Q: Integrated end-to-end solution such as Miva is so rare to find these days, partly because of the segmentation and specialization of the SaaS product and the integration that works between them. So what made you choose to offer something that’s going against the trend, if not, how so and why? Rick: I’m not sure I fully agree that it is against the trend, but maybe. At the end of the day, the reason why we are as integrated as we are is because we have decided to focus as we started competing with the likes of Shopify specifically, we realize that Shopify has a really great product for most users. So if someone wants to sell a dozen T-shirts, most users can pick a theme, build a site, put some T-shirts up and it doesn’t cost them much, it maybe cost them $30 or $80 a month. By the time they are all done, yes they pay a percentage of sales, but their hard recurring costs aren’t particularly high, and it’s maybe 30, 40 hours of their own personal time and they don’t have to be particularly technical as long as they are good with Photoshop. And so that’s where you see what I would say is the best and in breed minimum viable product solution. We made a decision for a number of reasons that we wanted to focus on people who had more complex business deeds, specifically people who do B2B, people who have very high SKU counts. So that’s why we started offering such a broad feature set and set of integrations. Knowing when to grow up and out! Q: Okay, moving on to the next. So for the retailers that are looking to start online, when should they start looking for a solution such as Miva? Or, for early adopters, what’s the benefit there and how can these benefits scale when the business grows? Rick: Sure. 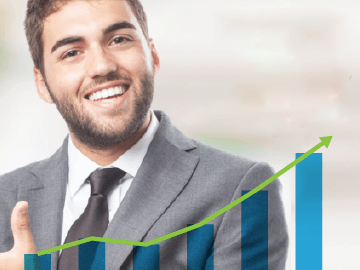 So, normally Miva is ideal for someone who is at least doing $50,000 or $100,000 in online sales or more and growing. And so for us, if someone is just starting out online I think the answer to that depends on if they are part of a real business. So for example, if you have a brick and mortar shop or you are a manufacturer, so you might have zero online sales but you already have a business that is maybe doing $500,000, a million, $5 million, $10 million, whatever, in total sales, but you don’t have any online sales, a product like Miva works really great there because we can tie into your existing business – we can tie into your point of sale and your accounting system and all that. 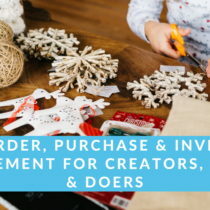 And that’s very different than someone who is trying out a business, and the trying out of business is where we see people using the WooCommerces and the Shopify. And I think that’s great, I don’t know that those people would get a lot of benefit by spending the extra money and the extra time to test on Miva. 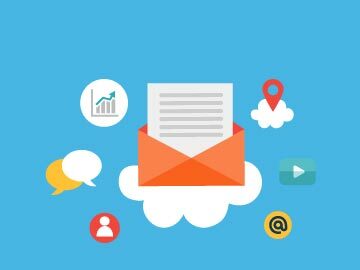 I think the thing they need to know, and most people need to know is once you’re shipping 10, 20 packages a day, once you are hitting $5,000 a month in sales and growing, and where things like automation and time and time management of process flow become important, it’s almost never too early to start getting your business processes in the right flow. Because if you can continue to keep growing, at some if you are just a one person start up, at some point when you get into $250,000 or $500,000 a year in sales, especially if you have a relatively low average order value so you are moving a lot of shipments, the things you are doing and the decisions you are making become expensive. 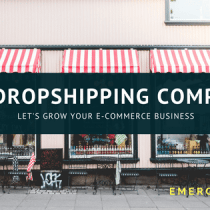 So either your drop shipping has become expensive or if you are shipping it yourself it has become expensive, and so you want to be able to use a tool that can help you save time and save money and save on everything from customer service to getting shipments out the door or to working with a fulfillment center so that you can get all of those things accomplished and not waste all of your profit margin on inefficiencies. Q: For companies that come on board later is there still value in integrated solutions? 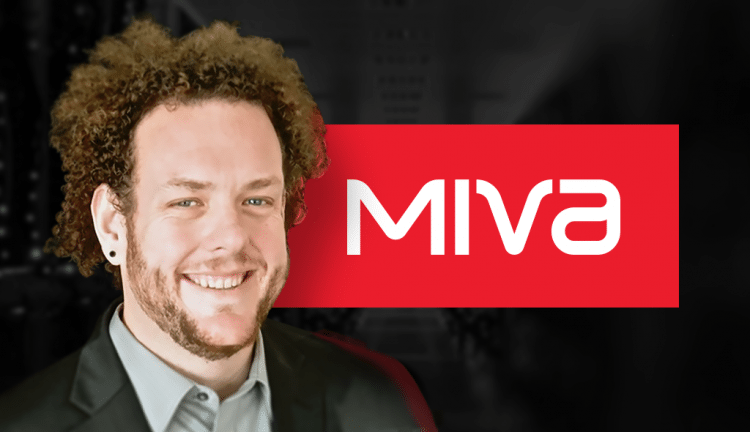 How can Miva adapt to suit those companies and their entrenched workflows? Rick: So I think that’s the power of Miva is that Miva can adapt itself to virtually any entrenched workflow; that actually is a great way to articulate our value proposition. The biggest challenge we see is when companies have entrenched their workflow around another product and it’s causing them pain. So let me give you an example, let’s say you have a custom-built shopping card and you’re on some sort of e-Commerce platform that had a limitation on product options, and let’s say you sell something that has a two-dimensional product options, so size and color. But let’s say for some reason that product that you’re on, and again, maybe you custom-built it or you hired someone to custom build it, let’s say that product only could scale with one set of product options, so you combined all those. So maybe you made a unique sku for red small and red medium or red large, and now it’s causing problems because maybe that doesn’t plug into your accounting system correctly or maybe it’s causing you problems at your drop shipper. And so what we see is the challenge those merchants face is untangling their data. We can make Miva continue the processes they have, and quite often the reason they have come to us is they want to fix their process. So the value proposition is that we are one of a very few platform – us and arguably Magento Enterprise – that can move our product, you know, in a higher end of things and that like IBM, etc., but we are one of the few things that can move our product around your business. Which is usually the downside of lower-end SaaS solutions. If you are trying to shove your business into a Shopify or BigCommerce or WooCommerce, you’re going to end up adjusting your business to fit those platforms. Q: eCommerce is all about scaling nowadays so do you see any companies that are backing the trend? And what are the thoughts on the future of e-Commerce in terms of business model diversity? Is it one size fits all model, or do you think within e-Commerce there are different opportunities for diversification? Rick: If you are talking about from companies like us, I think there are different opportunities for diversification. So I think there is a fundamental difference between what I would call B2B e-Commerce, so very large catalogs. If you’re selling wholesale auto parts to auto dealers, that’s going to be very different than the guy selling 50 T-shirts. And so I don’t think it’s a one-size fit all solution for our market. I think our market is going to end up looking a lot like accounting software. So yes, there is a top 10 accounting software company – SAP, NetSuite, and Oracle – but beyond those top 10 there is still a good 200 or 300 ERP systems in the software market that are successful, viable platforms. And you will find that there are ERP and accounting systems that are very specialized – there will be ones for auto parts and one of the injection molding industry – and so they are very specific. And I think you will see similar in e-Commerce where you’ll have maybe 10 platforms in the long run that make up the top tier space that the biggest companies around the world are using, and that you then have 200 or 300 platforms that have some other value proposition. Either they are very highly identified for a vertical such as auto parts or something like that, or you will see things that specialize in other things – they are specialist in marketing tools and they are specialist in warehouse management tools. So I think the long term trends for the e-Commerce platform market will look very similar to the accounting software world. Q: In general What do you think is the future of eCommerce, where it’s heading? Rick: Well I think the easy answer is e-Commerce is still in its nascency even though we are 20 years in. I haven’t seen the latest numbers but I believe at present total e-Commerce transactions, especially in the US are still under 10% of all transactions. And you are seeing the headlines every day right now where, in this morning, Sear’s stock collapsed because their accountants gave them a warning that they may not be able to continue operations, and Macy’s is laying off people and closing stores. You are seeing a pull back in traditional retail and then an offsetting rise in e-Commerce. And I think what you will find is that most manufacturers major distributors in the long run just go direct to their end customers, even if those end customers are other businesses, but they will go direct to their end customers and offer a direct solution versus going through a middleman like a Macy’s or any other kind of store. There you go! E-commerce is constantly evolving and we’re excited about how it’s gonna turn out. The main takeaway here for us at EMERGE App is that it’s never too late to start! The fragmentation and diversification of the eCommerce world only means more opportunities for companies and businesses to solve more problems for consumers and provide better value. Thanks Rick for your time and a big shoutout to the folks at Miva Inc! For more such content, be sure to follow our blog for the latest news and best insights in the industry.